Pay equity is an important consideration for employers today. Unfortunately, it’s not something that happens easily. In fact in a recent study we came across, just over a third of respondents had in place a process to address pay equity issues. Addressing this important concern requires a well-considered process to ensure that individuals doing the same job, with the same skills, and level of proficiency within those skills, are paid equally. And pay equity is not only good for the individuals impacted, but has been shown to have a positive link to overall engagement, turnover, and customer service metrics. Pay equity isn’t just about fairness. It’s about creating an environment that fosters employees to focus on customers, rather than comparing salaries with coworkers. It’s also indicative of a culture that values its employees and is committed to giving them visibility into the process that impacts compensation. This visibility leads to an excellent employee experience, which in turn leads to an excellent customer experience. The marketplace for talent is increasingly transparent. Between the wealth of information online and the ease with which people can connect and share information on social media, bad employers have nowhere to hide. Taking a strong position on pay equity can help a company’s brand in the marketplace. The equity focus is also indicative of a culture that embraces diversity of all skills, competency and performance, taking an active role ensuring multiple perspectives are given equal credence. Turnover is costly, disruptive and potentially damaging to the employer’s brand. Although turnover will vary by industry, all organizations want to keep their good employees longer. 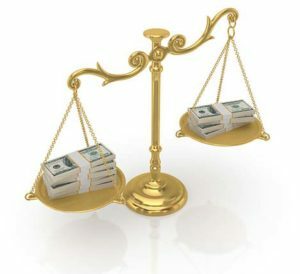 Compensation, and in particular, equitable compensation, according to all surveys, is a significant factor in retention. Organizations unable to retain talent face a number of challenges, from impact on productivity and morale, to eroding levels of customer service. Obviously, a formal focus on pay equity is not the only factor to impact turnover. But when organizations focus on things that matter to employees, they reap the benefits of employees that stay with the organization. Engagement has become a critical business metric, linked to everything from revenue to customer experience to organizational alignment. And there is no question that compensation matters to engagement. For instance, a recent study showed that the number one component of engagement and retention was compensation. Of course, the goal of HR strategy, including compensation, pay equity, and engagement is to drive business performance. It has been shown that organizations that achieve above average engagement levels for their industry were twice as likely to also achieve above average levels of productivity. In addition, they are two and one-half times as likely to have achieved or exceeded revenue goals. Pay equity is an important mindset for organizations and the workforce as a whole. When employees are treated fairly and equitably, it builds trust, which leads to engagement, retention and performance. It removes difficult conversations between managers and employees, and it allows focus on the work at hand.